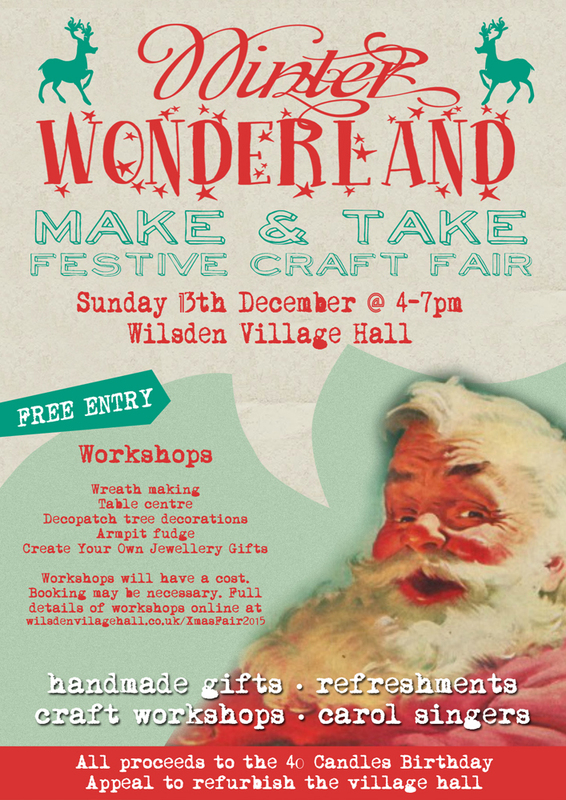 Join us for the Wilsden Village Hall festive “make and take” craft fair this December. The village hall will be holding a Christmas craft fair on Sunday 13th December from 4pm. The theme of the event will be “make and take”, with stallholders selling homemade items and craft kits, and a number of workshops for all ages available to try throughout the afternoon. There will be a range of handmade items on sale from local groups, businesses and individuals, including toys, clothes, jewellery, paintings, calendars, table decorations, felted gifts, bunting, cushions, vintage goods, Christmas wreathes, novelty knits, dolls, brooches and more. The perfect place to pick up a unique Christmas gift you can’t find in the shops! Businesses taking part in the event include Golly Gosh Gifts, Roseland Creations, Anything Goes, Fairies Wardrobe and Bingley Manorlands Support Group. We will also be running a number of workshops for both children and adults, perfect if you want to come along and learn a new skill! There will be a small charge for workshops to cover the cost of materials. 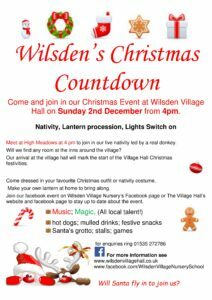 Baked refreshments will be provided by the ladies of Wilsden Women’s Institute, with mulled wine and mince pies also available. The Advance Church singers will be singing carols for our guests. 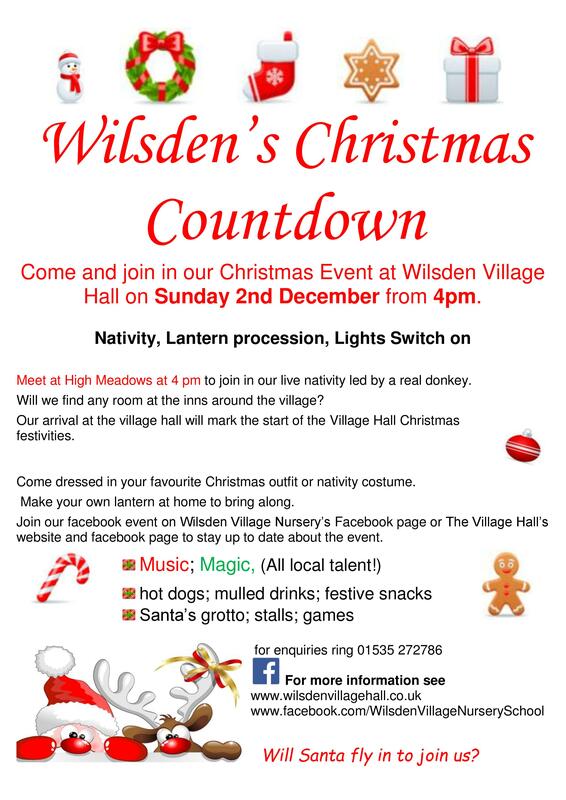 Entry to this event is free and all profits go towards the village hall’s 40 Candles Refurbishment Appeal, so please do come along and support us! Sundries/flowers supplied, bring along some winter foliage and sharp scissors. Dress code: fancy dress optional. Prizes for the best efforts! 30 years ago, Marty McFly took a DeLorean trip into a future of hoverboards, flying cars and a worrying obsession with two-tone neon. That future was October 2015. What better way to celebrate than with a big-screen showing of the film that started it all back in good ol’ 1985, complete with licensed bar, themed snacks, fancy dress competition and 80s music to finish off the night? Wilsden Entertainments Society presents the first of what we hope will become a regular series of Saturday Cinema nights at the village hall: Back to the Future! In this much-loved 80s classic, teen Marty McFly (Michael J. Fox) and his nutty inventor pal Doc Brown (Christopher Lloyd) time travel back to 1955 to help Marty’s parents get together – before he disappears forever. Join us on Saturday 24th October at 7.30pm for a fun social evening with family, friends and neighbours. 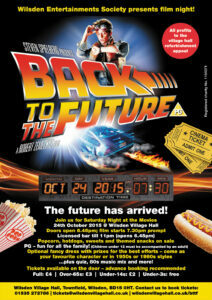 We can’t give you hoverboards or self-lacing Nikes, but we can give you a great movie night with a large 10ft screen, well-stocked bar, themed snacks and drinks, prizes for the best fancy dress, a quiz, and an 80s music mix to finish that’ll blow your parachute pants off. Come along and enjoy a delicious Doc Brownie or one of Einstein’s Hot Dogs with a glass of Calvin Klein’s Jivin’ Wine, courtesy of our usherettes, in the comfortable ambient atmosphere of Wilsden Village Hall. If you like you can dress as your favourite character, or channel some 1985 or 1955 chic – prizes will be awarded for the best efforts! All are welcome to this fun-for-all-the-family PG film, although children under 12 must be accompanied by an adult. Tickets cost £4 standard, £3 over-65s and £2 under-14s. Under-threes are free. 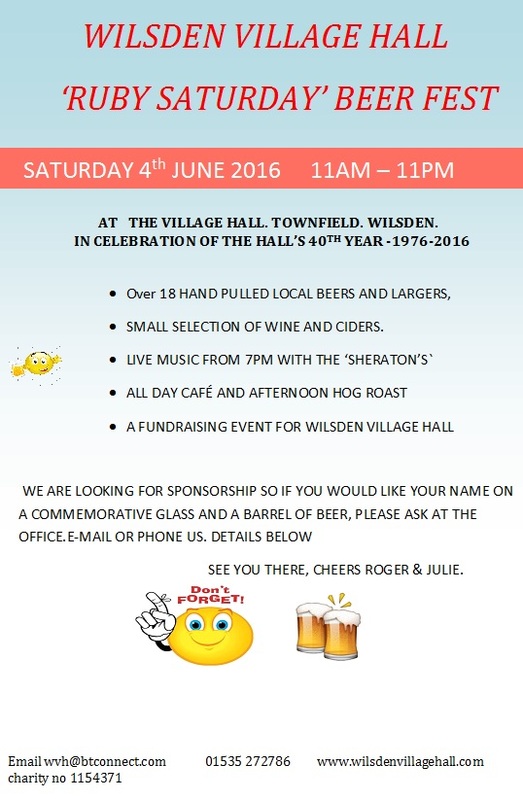 All profits will got towards the 40 Candles Birthday Appeal, which aims to raise £20,000 to refurbish the village hall. We recommend reserving your tickets in advance for collection and payment on the door. This will guarantee your seat (max 80 available) and will be helpful to the organisers during planning. If for any reason you are unable to attend, please email us on tickets@wilsdenvillagehall.co.uk so we can free up your seat for someone else. Use the form below to reserve seats. Children under three are free and do not require a ticket. Our questionnaire has shown that respondents would like to see a community cinema in the village. We hope this first event will lead to a regular social film night once a month at the hall, as well as special screenings catering for specific groups (for example, family-friendly and dementia-friendly screenings). We intend to show a wide range of films, from new releases to family favourites to popular classics, as well as running film seasons such as Best of British and Oscar Winners. Some of the films we are considering for future screenings are Avengers: Age of Ultron, Cinderella (live-action), Jurassic World, The Imitation Game, The Theory of Everything, It’s A Wonderful Life, Star Wars, Minions and The Magnificent Seven. The community will have the chance to vote on the next screening from a shortlist. If you would like to give us your views on the community cinema and the types of film you would like us to show, our online questionnaire is still open on our website here. They can also be reserved online for payment and collection on the door by clicking here. 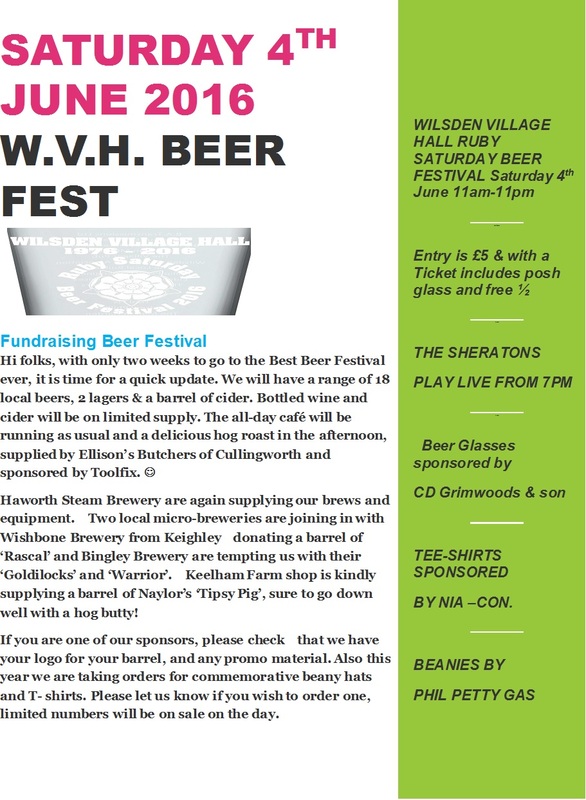 Wilsden Gala Committee have announced that 2015’s animal-themed event, held back in July, has raised nearly £2000 for good causes in their community. Of the £2000 profits, £400 will be put towards the 2016 event. The remainder will be divided between three charities. The biggest beneficiary is Wilsden Village Hall’s 40 Candles refurbishment appeal, which has received a donation of £1200 from the gala committee. Wilsden Cricket Club, who have hosted the gala for the past two years, have received a donation of £250, and St John’s Ambulance received £150. The village hall also received a further donation of £400 from Wilsden Women’s Institute, who donated the majority of their profits from selling tea, sandwiches and cakes at the gala to the 40 Candles refurbishment appeal. 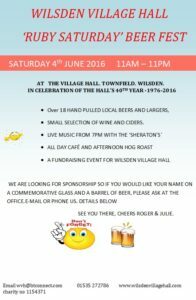 Plans are now under way for Wilsden Children’s Gala 2016, which the committee – all volunteers from within the community – hope will be even bigger and better than this year’s event. 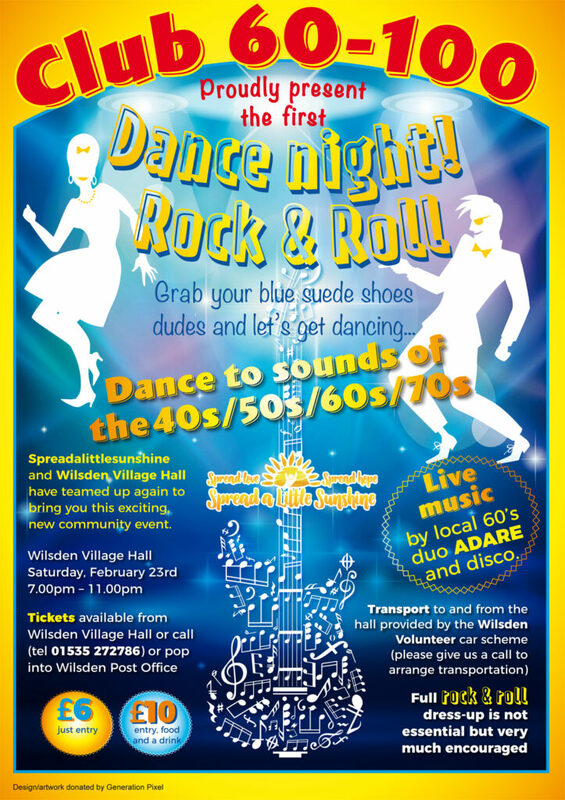 As in previous years, there will be plenty of opportunities for Wilsden kids to get involved in the lead up to the event, whether it’s designing the 2016 programme cover or entering the draw to become next year’s gala king or queen at the Gala Disco in February. Watch this space for more announcements throughout the year. We are having a quiz and pie & pea supper in the village hall on October 18th. We are always looking for new members.